Everyone makes mistakes, and some may involve legal issues. A well-rounded knowledge of the laws in Texas – including the potentially costly consequences of breaking them – can make an individual think twice before engaging in criminal acts. It can also benefit anyone who finds themselves on the wrong side of the law and needs to craft an effective defense. There are several crimes that can result in fines, license suspensions and in some cases, jail time. Residents of the Brownsville area who are facing these criminal penalties could benefit from the services of an attorney. Whether someone is a victim or an offender in a driving while intoxicated (DWI) scenario, the outcome often brings ongoing hardships to both parties. Victims may incur injuries, vehicle damages and a host of other problems, all of which are sure add to the state’s case against the driver who is charged. When it comes to drunk driving, the Texas Department of Motor Vehicles reports that any driver age 21 or older cannot drive with a blood alcohol concentration (BAC) of .08 percent or greater. The allowable level drops to .04 percent for commercial drivers, and the state applies a zero tolerance policy to motorists who are under 21 years old. The state uses BAC test results, typically administered by law enforcement officers at the site of the traffic stop or at an accident scene, to build its criminal case against the offending driver. In Texas, DWI penalties vary depending on a person’s age, license classification and other factors specific to the individual incident, such as whether the driver charged was carrying passengers or caused a death. Typically those convicted of a DWI charge can expect hefty fines, attorney fees and court costs, license suspension or revocation and the potential for increased car insurance rates. Courts may also require the offending driver to participate in DWI intervention and education programs and perform community service. Incarceration is also a possibility, even for a first-time offense. For minors convicted of DWI the penalties are more severe; for a first offense, license suspensions can span two years, and failure to complete a required 12-hour alcohol education program will add another 180 days to the existing license suspension. The ramifications for those who operate a vehicle while impaired due to drug use are similar in severity. A review of Texas Department of Transportation data shows impaired driving contributed to 973 crashes and 1,089 deaths in 2013 alone, demonstrating the problem is not going away. No one wants to be charged with a DWI-related crime, but anyone who finds themselves in this situation could benefit from calling a Brownsville DUI/DWI attorney. The right lawyer can help with navigating through a sometimes complicated court system and ensure any sentence imposed is fair for all involved. 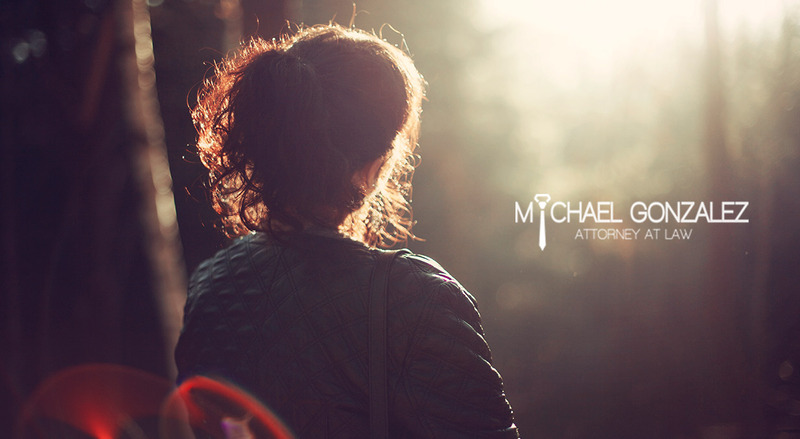 An attorney can also aid in reaching a reasonable plea agreement that could result in a more favorable outcome. Texas state statute defines theft as the unlawful appropriation of property with an intent to deprive the owner of the property. There are a wide range of offenses of that could result in a theft charge, including everything from writing bad checks to acquiring stolen goods. Just as the nature and seriousness of the charges vary, so, too, do the potential consequences for those convicted of committing them. In an instance of shoplifting, the punishment may be a fine, depending on the value of the items involved. In more drastic cases, incarceration is a possibility. Standard theft – This is a relatively broad charge that addresses a variety of situations. It can apply to anyone who steals a wallet from an unsuspecting person, snatches a few dollars from their workplace or pilfers valuable tools from a co-worker has committed this type of theft. Shoplifting – Concealing store merchandise with the intention of not paying for the items and leaving the premises is one way to be charged with shoplifting. The charge also applies when a person employs a deceptive practice designed to avoid paying for the item at its full value, such as switching out a higher price tag with one that carries a much lower cost. Bouncing checks – Writing checks from a closed account to make a purchase is enough to incur this charge. Issuing a check on an account that lacks the funds to cover the amount of the transaction can be viewed as a criminal act under the law if the impacted businessperson is not compensated within 10 days. Receiving stolen property – Whether the goods in question are accepted as a gift or purchased from the person who stole them, the individual obtaining this property has engaged in a criminal act if they have reason to believe the items were gained unlawfully. Examples of other classifications include identity theft, theft of services and embezzlement. Sentences imposed can increase in severity if the individual has already been convicted of a similar crime in the past, for example. In general, however, theft-related crimes carry differing penalties that hinge on the value of the stolen property. Under Texas law, those found guilty of stealing goods valued at $50 or less (or less than $20 if the transaction involved a check) face a fine of up to $500. A theft of items worth more than $50 but less than $500 is a Class B misdemeanor that could land a person in jail for up to 180 days and cost them up to $2,000 in fines. Again, the lower value threshold falls to $20 but less than $500 in cases when merchandise was acquired by check. In the most serious cases, where the theft involves depriving owners of property valued at $200,000 or more, the offender adds a first-degree felony to their criminal record. People convicted at this level could serve between five and 99 years in prison and be ordered to pay a fine as high as $10,000. In a time when many employers turn to the Internet when considering potential new hires, having any kind of theft charge appear on a permanent criminal record poses a bigger problem than ever before. It’s also just plain embarrassing. Obtaining the services of a Brownsville theft attorney can be a big help for someone who wants to fight the charges, or work out a plea agreement that could result in a lesser charge appearing on a criminal record. The marijuana possession laws in Texas can bring stiff penalties for anyone caught with this drug in their custody. The Texas Penal Code states an individual has committed this offense if they are “knowingly and intentionally” in possession a usable amount of marijuana, or an amount great enough to be ingested in some fashion. The consequences of a marijuana possession conviction are dependent on the amount of the drug an individual has on their person at the time the charge is incurred and whether the person charged has previously been convicted of a similar crime. Unlike what is the case in some other states, Texas residents who commit these crimes at any level face the possibility of jail time. Those found guilty of holding two ounces or less get a Class B misdemeanor charge on their record, could spend up to 180 days in jail and may pay a fine as high as $2,000. If carrying between two and four ounces, the punishment is a Class A misdemeanor conviction, up to a year of incarceration and a fine of as much as $4,000. The penalties increase to reflect greater amounts of the drug. A more serious offense in which an individual possesses more than 50 pounds but less than 2,000 pounds could mean between five and 99 years in the custody of the Texas Department of Criminal Justice and a fine of $50,000. A criminal record that includes marijuana possession can cause lots of problems. It can act as a barrier when a convicted individual seeks employment, or if they aspire to attend college. A Brownsville possession of marijuana attorney can be an asset in these drug possession cases. If the charge is for a first offense, a lawyer could assist in crafting a plea deal that offers a lesser sentence. In some instances an attorney can dispute the charge in court if there are questions about how police obtained evidence, or raise concerns regarding the particulars of an arrest. Assault charges can be imposed in several situations, not all of which involve physical contact with an alleged victim. In Texas a person can be charged with committing this crime if they injure someone, including their spouse, but could also be charged if they threaten to hurt another person. In addition, the law applies to anyone who initiates any unwanted physical contact with someone else if it is clear the other person would be offended or provoked by such contact. That means a shove administered during a heated argument is enough to bring on legal woes. In most instances a police officer must witness the assault before making an arrest, but even if an officer did not see the act, they may still issue a notice to appear in court or obtain an arrest warrant. The exception to this rule is domestic violence allegations; in Texas law enforcement can make an arrest even without seeing an assault take place. Either way, assault is a violent crime that prosecutors take quite seriously. If the confrontation caused severe injury to another or it involved the brandishing or use of a weapon, the charge can be elevated to aggravated assault. The penalties that can come with an assault conviction vary depending on circumstances of each case. A simple assault in which a victim sustains relatively minor injuries constitutes a Class A misdemeanor and is punished with a fine of up to $4,000 and as much as a year in jail. A Class C misdemeanor assault charge typically involves threatening or uninvited physical contact, and those convicted at this level could pay a fine as high as $500. If the victim of the assault is a public servant, emergency service worker, a family member or domestic partner, the charge could get bumped up to a third degree felony. Those charges punishable by a maximum of a $10,000 fine and 10 years in prison. Aggravated assault convictions can result in a prison stay of up to 20 years. Being convicted of any violent crime is another way to add hardship to one’s ability to obtain employment, an in cases where a lengthy incarceration is possible, it can mean job loss, and a large chunk of time away from family and friends. All of this, combined with the fact that the law allows police to issue charges without seeing an actual assault or based on an alleged threat, illustrates the importance of getting a Brownsville assault attorney to assist in constructing a legal defense. A lawyer can help argue that an assault was never committed, or that it occurred as part of an individual’s effort to defend themselves. Whether someone hopes to avoid a new mark on their criminal record, has a clean criminal record and wants to keep it that way, or is in the midst of criminal court proceedings, knowledge is power. But it’s not always enough. That is when retaining the services of an attorney can make the difference between paying for a poor choice and paying far too dearly.